Built circa 1878 for Charles and Amelia Niehoff, this is Louisville’s oldest known remaining structure. Their son Bert became a Major League baseball player.The house remained in the Niehoff family until the 1980’s and is currently the location of the Louisville Parks and Recreation Department. For more information about Louisville’s Historic Preservation Program contact Lauren Trice, 303-335-4594, laurent@louisvilleco.gov. Saturday mornings are filled with fresh local food from the farm and all kinds of specialty items and artsy crafts. Stroll downtown and listen to music under the Pavilion, enjoy breakfast treats and say hi to your neighbors! Support your local farmer. Talented national and local artists showcase their work at the galleries and stores Downtown. Enjoy an evening of good art, good food and drink, and good friends. First Friday of each month from 6:00 – 9:00 pm. Its the end of the Street Faire for this year! We had a blast and hope you did too! 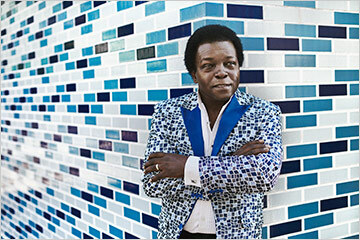 You won’t want to miss our last concert featuring Lee Fields & the Expressions! Fields is a master soul and funk singer and performer who brings the essence of James Brown and his own unique style to the stage. Fields has toured the world with musical legends like Kool and the Gang, Sammy Gordon and the Hip-Huggers, O.V Wright, Darrell Banks, and Little Royal. He’s recently acquired new-found popularity with younger audiences too. Whether you’re young or old, you’ll be equally taken with his strong and soulful voice and the great band backing him up. Founded in Boulder in 2013, Foxfeather is a sultry alt-Americana band with a lyrical base, bolstered by strong blues-rock instrumentals. The band consists of Carly Ricks Smith (lead vocals), Laura Paige Stratton (acoustic/electric guitars, keyboards, vocals), and is often supported by various instrumentalists for a full rock sound. We want to thank all the hard-working volunteers, generous sponsors, team management and all those people who make the Street Faire such a special, unique community event. We look forward to another great season next year and seeing you all Downtown! Let us know how you liked the Faire. Send your comments to info@downtownlouisvilleco.com. 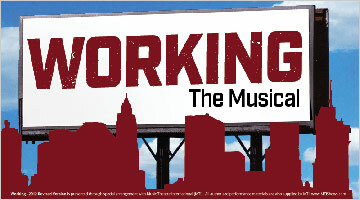 The hopes, dreams, joys and concerns of the average working American are the focus of this compelling musical based on Studs Terkel’s best-selling book of interviews with American workers. The everyday lives of common men and women will surprise and inspire anyone who has ever punched a time clock. Featuring songs by Lin-Manuel Miranda, Stephen Schwartz, Craig Carnelia and James Taylor. For the last 25 years, Mountain High Appliance has been an integral part of downtown Louisville. Because of the community’s continued support, they are happy to announce they are expanding again! 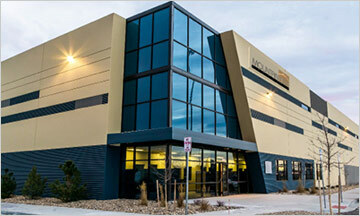 This time, Mountain High Appliance is opening a Clearance Center in their Denver Warehouse! Like the Louisville Clearance Center, this new location will sport amazing deals on factory new, scratch and dent, and blemished appliances. They are open 7 days a week, so stop by today! Come join the celebration of our First Friday Art walk with featured artists Rochelle Johnson, Susan Behrendt, Laura Brenton, and Jessica Wicken. Also take in the talents of artists in residence Jackie Friesth, Yvonne Kozlina, Roger Mordhorst, Jon Tamm, Hanlie Wessels, and Steve Wilding Enjoy wine, cheese and snacks and lots of beauty and color. 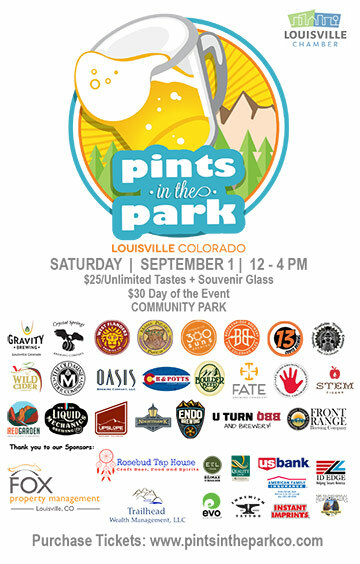 Don’t Miss another Annual Pints in the Park! Food, Fun and Beer. What more could you ask for? Be sure to check the library website for ALL scheduled programs www.louisville-library.org. Migraine headaches can be debilitating and interfere with your life. Many people suffering from migraine headaches feel like they have tried everything. 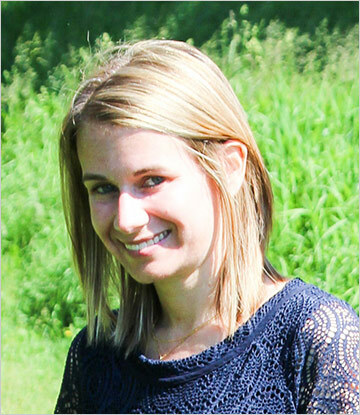 Dr. Sarah MacArthur, of The Specific Chiropractic Centers, has found that there are five simple truths that most people don’t know about migraines that can drastically change their lives. Come find out what they are and walk away with some powerful knowledge. What is the number one cause of business bankruptcy? You guessed it... a chronic health condition! Here is the good news: health is simple and there is a lot you can do on your own. Come learn how to run a successful business without sacrificing your health. 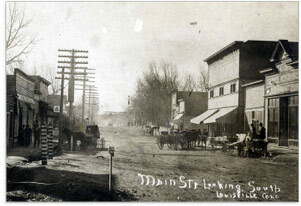 The neighboring towns of Louisville and Lafayette share a common coal-mining history and connections as the result of branches of the same families who lived in both towns, but also have interesting differences in how they each developed as towns. For example, Lafayette was especially tied to important transportation routes. Come to the Museum to meet board members from the Lafayette Historical Society and ask your questions about Lafayette history! 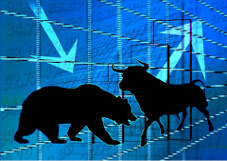 The Stock Market can seem mysterious and strange, but here’s how you can get your foot in the door. Learn the symbols, terminology, and slang of playing with stocks and get an overview on how the market works. This workshop will teach you how to get started, the associated fees, plus provide an understanding of risk tolerance and asset allocation.